Business Center, Fitness Center, Free WiFi, NO Pets Allowed. Relax and unwind in our Indoor Heated Pool and Spa open year round. Fridge, Microwave, Coffeemaker, Hair Dryer, Iron and Board, Free Newspaper at door. Enjoy a comfortable stay at the Holiday Inn Express Hotel & Suites in McPherson, Kansas. 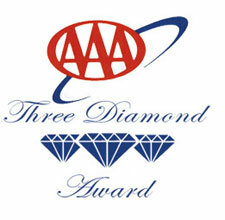 Our hotel is only a short drive from Wichita and the Wichita Airport. You are sure to enjoy all the comfortable amenities that we have to offer, as well as our convenient location. Your family will love our McPherson hotel, located at the intersection of I-135 and Hwy 56, because of its close proximity to several attractions in this charming area. McPherson attractions include the McPherson Water Park, Turkey Creek Golf Course and the McPherson Opera House. The Maxwell Wildlife Refuge and the McPherson Valley Wetlands are also nearby. Make traveling on business enjoyable by staying at our peaceful accommodations in McPherson, Kansas. Our hotel is located in a quiet, rural area that is only about 45 minutes from the Wichita Airport. We also provide a meeting room, as well as a Business Center with a fax machine, a printer/copier and a public computer for your business needs. All our rooms and public areas are equipped with free high-speed Internet access. While you visit McPherson, Kansas, take advantage of our choice hotel amenities, which include a Fitness Center, a heated, indoor swimming pool and a complimentary hot breakfast bar. Make your reservations now, and enjoy our great McPherson hotel deals and rates. 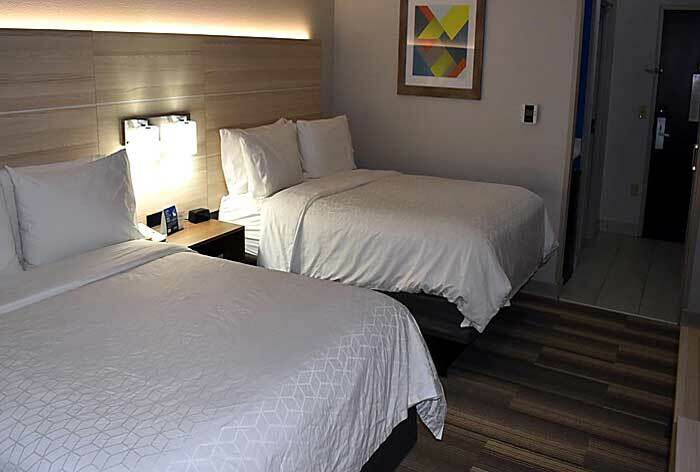 The Holiday Inn Express Hotel and Suites of McPherson Kansas is located just north of Wichita on Interstate 135 at exit number 60. Located in one of the nations most breathtaking scenic regions you will be welcomed by small town hospitality and charm allowing you to do what you deserve. Relax! Activities : Brilliant auburn leaves, a blanket of sparkling snow, velvet purple crocuses, the warm summer breeze. There's nothing better than the changing of the seasons in McPherson. Our prairie land treasures provide a refreshing welcome to a community where outdoor adventure flourishes. Spend an afternoon discovering flowers, native grasses, birds and more at the Maxwell Wildlife Refuge or at the McPherson Valley Wetlands. Airport : Dwight D Eisenhower Airport Dwight D. Eisenhower National Airport is a commercial airport in Wichita, Kansas, United States. The airport is located approximately 7 miles west of downtown Wichita. It is the largest and busiest airport in the state of Kansas. Attractions : Hometown pride abounds in McPherson and is driven by individuals who are passionate about telling the community's story through attractions, entertainment and small-town hospitality. All Schools Day celebrates more than 100 years of education in McPherson County. The McPherson Museum highlights many "firsts" including the creation of the first synthetic diamond. The McPherson Opera House offers a historical venue for modern performances. The McPherson Festival of Cultures celebrates diversity. The benefits of McPherson's progressive nature is visitors feel called to stay and discover more. Some even choose to call McPherson their home. Business :McPherson Convention & Visitors Bureau (CVB) Email CVB 1111 E. Kansas McPherson , KS 67460 Phone: 620.241.3340 Directory Conventions McPherson is the ideal location for meetings, conventions, family reunions or sports tournaments. Located less than four hours from every town in Kansas, McPherson's central location is especially convenient for statewide meetings. The McPherson Convention and Visitors Bureau is available to assist with convention planning. Customized itineraries are based on group needs, allotted time and availability of local facilities and personnel. Casinos : Prairie Band Casino & Resort 12305 150th Rd, Mayetta, KS 66509 Phone: (785) 966-7777 This casino hotel and entertainment complex is on the Potawatomi Indian Reservation, 1.7 miles from the Thunder Hill Speedway. 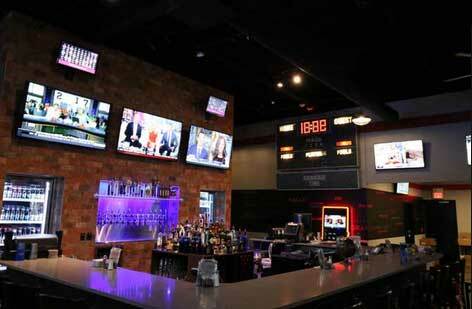 Dining : Come and enjoy The Fieldhouse Sports Grill and Taps with over 25 Taps and 50 Beer selection. Also serving great Grilled foods with apetizers and happy hour. Downtown :McPherson Main Street Ann Engel, Executive Director 306 N. Main McPherson, KS 67406 620-241-7430 mainst@mcphersonks.org McPherson Main Street provides an array of activities to promote Downtown McPherson. Discover new treasures when shopping during The Main Event on the first Thursday of every month. A ttend everyone's favorite fall event, Burnin' Down Main, featuring a public tasting of soups, chilis and desserts. Children will find the perfect holiday gift for mom or dad while shopping at Mini Main Street. No matter what the occasion, McPherson Main Street strives to empower small independently owned businesses in the downtown district while providing entertaining shopping opportunities for all. Golf : Turkey Creek Golf Course 1000 Fox Run Rd, McPherson, KS 67460 Phone: (620) 241-8530 Welcome to Turkey Creek Golf Course Built in 1990, Turkey Creek Golf Course is an 18-hole facility with gorgeous bluegrass fairways and bent grass greens. There are 4 sets of tees ranging from 4597 yards to over 6300 yards with a par of 70. Native grass areas on numerous holes add to the beauty of the well-manicured course. There is also a 300+ yard driving range, which has natural grass tees and a full length hitting mat that is used during inclement weather conditions. Shopping : Discover the perfect blend of modern amenities and old-fashioned charm while strolling along historical Main Street. Storefronts offer enticing displays of dishwater, books, formal wear, antiques and more. University : McPherson College 1600 E. Euclid, McPherson, KS 67460 | 800-365-7402 We are a liberal arts community producing leaders, creative thinkers and entrepreneurs of the future. Through service, internships, international travel, interdisciplinary studies and athletics, our students experience a unique educational setting unlike any other.